Space Invaders for C# and .NET4/5/2019 4:16:59 AM. In this article, we are going to see to develop games in C#. Here I am developing space invaders game in C# with spiraling bombs and a ship lives indicator. Difference Between Abstract Class And An Interface3/29/2019 6:25:18 AM. In this article I have explained the difference between Abstract Class and Interface with some examples and some information about an Interface. JIT (Just-In-Time) Compiler3/29/2019 5:28:34 AM. JIT is the just in time compiler, it is quite different with other compilers. It compiles the source code just in time, and it does not compiles hole code, only the code is to be executed is compiled. Constructors in C#3/29/2019 5:07:54 AM. This article describes Constructors and types of Constructors available in C# and their description. .NET Framework and Architecture3/1/2019 2:46:40 AM. This article will help your in understanding .NET and .NET architecture. Static Namespace In C# 6.02/25/2019 11:31:27 AM. This article explains the new feature in C# 6.0 called Use of static as namespace in C# 6.0. Integrating Java and .Net Framework1/21/2019 1:13:09 AM. To evaluate the possibilities of Java and .NET framework convergence.The article begins by briefly probing what constitutes the Java platform and .NET framework. How .NET Support Multiple Languages12/5/2018 12:39:02 AM. An application is said to be multilingual if it can be deployed in many different languages. With .NET, all of the languages Visual Basic .NET, C# and J# compile to common Intermediate language (IL). Packing Two Dimensional Rectangular Elements At Orthogonal Table6/6/2018 1:16:22 AM. Here is a program made for two dimensional rectangular elements at orthogonal table in sequence along the X axis of the table, with horizontal orientation exclusively. ASP.NET Core - Getting Started With Blazor5/7/2018 12:52:38 AM. In this article, we will understand the new .NET framework – Blazor and create a sample calculator application using ASP.NET Core and Blazor. .Net Framework Features From .Net 2.0 To .Net 4.51/18/2018 6:12:15 AM. This article discusses the features introduced in Microsoft .Net Framework 2.0, 3.0, 3.5, 4.0 and th newly introduced 4.5 framework. Basic Components In .NET Framework1/9/2018 10:28:44 AM. A .NET gathering is a standard for segments created with the Microsoft.NET. .Net Architecture And .Net Framework Basics12/15/2017 6:02:57 AM. Here you will see .Net Architecture and .Net Framework basics. Using REDIS Cache with C#8/1/2017 2:28:56 AM. In this article you will learn how to use REDIS Cache with C#. Architecture Of .NET Framework7/6/2017 11:51:38 AM. In I will explain why we divide the .NET framework into layers. Connecting To Oracle Database Using C#7/6/2017 7:47:58 AM. This article explains how to set up a connection between an Oracle database and .Net Framework using C#. Remove the Anonymous Authentication Exception in WCF6/26/2017 6:50:10 AM. This article explains how to remove the Anonymous Authentication exception that occurs at the time of a WCF service (3.5 Framework) hosting on IIS. Getting Started With Angular 2.0 Using Microsoft TypeScript 2.0 Over .NET Framework1/13/2017 10:35:00 AM. In this article, you will get started with Angular 2.0, using Microsoft TypeScript 2.0 over .NET Framework. Cloning Objects In .NET Framework12/26/2016 11:58:55 PM. In this article, we will show the ways to clone objects in .NET Framework. We will analyze the pros and cons for each cloning method. How To Select .NET Edition For Your Projects12/20/2016 11:39:00 AM. Here, you will learn about the selection of .NET edition for your projects. How To Identify Which .NET Framework Is Installed12/14/2016 5:32:53 PM. In this article, you will learn how to identify which .NET framework is installed. Difference in .NET Family 12/13/2016 6:11:30 AM. In this video, I tried to explain the difference in the .NET frameworks available to developers. C# FAQ 7: What Are Data Types, Variables And Operators4/25/2016 12:18:53 PM. In this article, you will learn the concepts related to data types, variables and operators. C# FAQ 6 - How Do I Display Numbers In Different Formats4/25/2016 2:59:06 AM. This article examines the various ways by which you can display numbers in C#. 99 Problems And A Bit Ain’t One4/20/2016 1:23:30 PM. In this article we will discuss about how 32-bit and 64-bit processes interact with one another within the CLR. Why Use ASP.NET For Web Development4/11/2016 11:54:49 AM. In this article I will try to explain why one should use ASP.NET over other programming frameworks for web scripting and web application programming. CRUD Operations Without Writing Code In ASP.NET MVC3/28/2016 10:55:47 AM. In this article you will learn how to use MVC feature to perform all CRUD database operations without writing a single line of code in .NET Framework. Components Of .NET Framework2/3/2016 5:59:10 AM. In this article you will learn about the components of .NET Framework. Preparing .NET Interview - Part 2 (Basic Types)1/21/2016 3:43:23 PM. This article presents the common questions asked in .NET interview related to types and explains the answers in easy way. Preparing .NET Interview - Part 1 (Framework)1/11/2016 11:45:46 PM. This article presents the common questions asked in .NET interview related to framework and explains the answers in an easy way. Overview Of .NET Framework12/29/2015 1:11:08 PM. In this article you will learn about .NET Framework and what is the need of .NET Framework. Target A .NET Framework In Visual Studio12/15/2015 6:20:03 AM. This article describes how to correctly target a specific .NET framework version in Visual Studio. Debugging Deeper Through Reference Source11/30/2015 12:05:55 PM. In this article you will learn how to debug deeper through Reference Source. C# Faq 4 - How Do I Configure C# Compiler11/29/2015 11:14:59 AM. This article helps you to learn the initial steps required to compile a C# program from DOS command prompt. Canceling A Running Task11/15/2015 8:25:23 AM. In this article you will learn how to cancel a running task. Remove Slow Startups And Enjoy Less “Suspense” Through .NET 4.5.1’s App Suspend Feature11/12/2015 12:02:49 AM. In this article you will learn about removing slow startups and enjoy less “Suspense” through .NET 4.5.1’s App Suspend feature. C# FAQ 3 - Getting Started With C#10/31/2015 1:48:57 AM. This article examines the basics concepts associated with C# programming such as CLR, Class libraries and namespaces. C# FAQ 2 - About .NET Framework And Visual Studio10/31/2015 1:38:16 AM. This FAQ examines the concepts associated with .NET Framework, CLR, Visual Studio, Visual Studio Community and Visual Studio Online. .NET CLR Interview Questions and Answers10/24/2015 1:06:45 AM. In this article you will go through some important interview questions and answers on .NET Framework or CLR. Model First Approach In Entity Framework10/14/2015 7:56:12 AM. In this article we are going to learn Model First Approach under Entity Framework approaches. Object Lifetime in .NET Framework8/18/2015 4:21:44 AM. In this article you will learn about object lifetime in .NET framework. Efficiently Storing Passwords in .NET Framework7/30/2015 2:46:51 PM. In this article I provide a general advice for storing passwords, how to manage them in a database and a few other tips. Plus source code examples for storing the passwords. .NET Framework Overview7/17/2015 6:06:20 PM. This article provides an overview of the .NET Framework. Creating a Server/Client Application Using Only TCP Protocol7/13/2015 10:14:25 PM. In this article, I will go through variosu stages of programming a server&#47;client application framework in native .NET framework using TCP protocol only. App That Reads Out Text For You in WPF6/18/2015 4:04:39 PM. In this article you will learn how to create an app that reads out text for you in WPF with .NET framework. Short Overview of .NET6/8/2015 5:04:08 PM. This article provides an overview of the .NET Framework. Difference Between Library and Framework5/25/2015 2:24:37 PM. This article explains the differences between a Library and a Framework. Saving a Screenshot Using C#5/18/2015 8:15:16 PM. This article explains the entire scenario for creating an image containing a screen content, like windows and other details on the screen. How to Install and Register ASP.Net With IIS5/7/2015 2:50:44 PM. This article explains how to register ASP.Net with IIS when installing ASP.Net in IIS so that an ASP.Net page can make a request to recognize or respond from IIS. Disassembler Mechanized: Part 44/10/2015 5:32:45 PM. This article is the fourth and final part of how to do a mechanized disassembly in .Net. Disassembler Mechanized: Part 34/10/2015 4:47:46 PM. This article is the third part of how to do a mechanized disassembly in .Net. Disassembler Mechanized: Part 24/10/2015 4:13:53 PM. This article is the second part of how to do a mechanized disassembly in .Net. Disassembler Mechanized: Part 14/10/2015 2:15:18 PM. This article is the first part of how to do a mechanized disassembly in .Net. Data Annotations For MVC in ASP.Net3/23/2015 5:54:27 PM. This article explains Data Annotations, which are a library in the .NET Framework that helps do validations. A Tip For Ajax Developers in ASP.Net MVC Framework3/22/2015 12:56:24 AM. This article shares the concept of the ASP.NET MVC framework and the ajax support. It explains how to send ajax requests to a controller, to get a simple message notification, instead of an entire View as a result. Sending Emails Over .NET Framework, and General Problems Using C# Code2/6/2015 3:27:00 PM. In this article you will learn how to send emails over the .NET Framework, and general problems using C# Code. Why Not .NET1/22/2015 3:08:24 AM. This article provides convincing explanations for using .Net if you have not yet done so. Windows Services in C#12/23/2014 3:44:57 PM. In this article you will learn about Windows Services in the C# language. A Simple Step to Entity Framework Database First Approach12/13/2014 6:39:06 PM. In this article we learn the basic details of the Database First Approach of the Entity Framework. File System Watcher in C#12/7/2014 10:16:47 AM. Here you will see how to use a File System Watcher in C#. Using Static Statements Improvements in C# 6.012/5/2014 4:34:53 PM. In this article we will learn new features of C# 6.0 using static statements introduced in Visual Studio 2015 preview. How to Integrate Oracle With .NET Framework11/4/2014 4:35:06 PM. In this article I would like to explain how to integrate Oracle with the .NET Framework and provide support for versioning issues that often occur when deploying projects on IIS. Code Execution Process10/19/2014 11:48:42 AM. In this article you will learn about Code Execution Process. Your first Animations Using XAML and Silverlight - Color Animation: Part I9/4/2014 1:47:15 AM. In this article, I will give a trick of how to deal with ColorAnimation class within VS2008 and Silverlight context using both xaml and C# 4.0, afterward, and in the two subsequent articles, we’ll focus on the DoubleAnimation and PointAnimation. Simple Library to Create Excel Worksheets and Convert to PDF in C# And ASP.Net9/1/2014 3:27:03 PM. This is a very simple library to create Excel worksheets and convert them to PDF in C# and ASP.NET. Cross-Language Interoperability in .NET Framework7/2/2014 7:35:04 PM. This article shows how to create a Class Library file in C# (in other words a DLL file) and will use that DLL file in a Visual Basic application. Understanding .NET Client Profile6/15/2014 1:36:10 PM. Lets understand the .NET Client Profile, which is supported by .NET Version 3.5, 4.0 and 4.5. Hiding the Version Information of .Net Framework Due to Security Issue6/4/2014 5:51:01 PM. In this article I will demonstrate how to hide version information of the .Net Framework, which is the "medium level" security issue named "Information Disclosure". .NET Serialization6/3/2014 11:26:23 PM. This article talks about overall serialization in the .NET Framework and various available types such as binary, XML and SOAP. .NET Dataset Basics3/29/2014 12:34:11 PM. This article talks about the DataSet object in .NET Framework. Best Tool to Write Blogs3/2/2014 11:07:36 AM. In this article I will talk about Windows Live Writer 2012. If you like to write blogs then it is very useful to you. 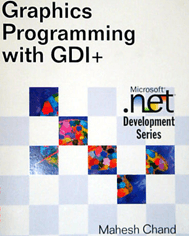 Introduction to .Net3/1/2014 8:32:31 AM. This article provides an introduction to .Net. Dynamically Selecting DataTemplate For WPF ListView: Solution 22/6/2014 12:22:47 PM. In this article, I am discussing an alternative way to dynamically select a DataTemplate for a WPF ListView. Handling Deadlock in Code Using Mutex2/1/2014 12:09:34 PM. This article exlains what a mutex is and how to use them. Asynchronous Connection in .NET Framework 4.51/26/2014 11:52:20 AM. This article explains how to create an Asynchronous Connection in .NET Framework 4.5. Snapshot Tool in C#1/21/2014 5:14:06 PM. In this article we will create a small Snapshot Tool. An Introduction to C#12/19/2013 11:41:54 AM. This tutorial explains the basics of C#, a modern Object Oriented Programming language that was designed by Anders Hejlsberg at Microsoft. Getting Started With ASP.Net Web Forms in Visual Studio 201312/18/2013 8:37:45 PM. This article provides an introduction to ASP.NET Web Forms in the Visual Studio 2013. Introduction to ASP.Net App Suspend in Visual Studio 201312/7/2013 9:50:19 PM. In this article you will learn the new release feature App Suspend in the Visual Studio 2013. ASP.Net Framework Server-Side Data Caching Techniques12/5/2013 5:32:32 AM. The ASP.NET Framework provides many server-side caching techniques for developers to persist data based on the scope. .NET String Immutability and Related .NET Framework Bugs11/19/2013 3:38:28 PM. This article which explains several aspects of the .NET String class internal structure. Examples and workarounds are given for three distinct manifestations of a reported bug related to the TextRenderer.MeasureText function used with PathEllipsis and ModifyString flags. .NET Framework Tutorial: Part 210/19/2013 2:58:08 AM. This video is second in the series of videos that I will be posting which explain the .NET Framework, it's architecture and different types of applications that can be developed on .NET Framework, from the very beginning. This series of videos is mainly targeted to developers who are completely new to .NET Framework. .NET Framework tutorial for Absolute Beginners Part#310/19/2013 2:56:07 AM. This video is third in the series of video that I will be posting here. In this video, I mainly talk about C# programming language, the features that it provides and also I show the first Hello World Console Application using Visual Studio. Introducing New Features in Visual Studio 2013: Part 110/10/2013 12:06:14 PM. This article introduces new features launched in Visual Studio 2013. Microsoft Visual Studio 2013 and Your App Store7/18/2013 3:01:55 PM. After releasing of revolutionary Win8.1 preview, here we need some special Apps and features. So for same purpose Microsoft also released Microsoft Visual Studio 2013. ASP.NET Web API CRUD Operations6/18/2013 11:55:11 PM. This article demonstrates the CRUD operations of the ASP.NET Web API.